As a 2017 Knight Visiting Nieman Fellow at Harvard University, I created the Unlocated Persons Data Standard, a guide that defines and captures the information of a person whose location is unknown regardless of why they are unlocated. 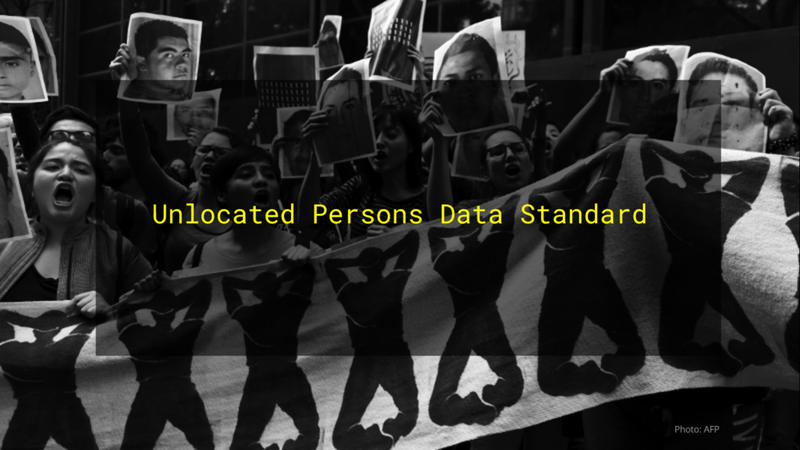 The Unlocated Persons Data Standard was designed based on 3 research criteria: International human rights law terms and methodologies; Federal and local law descriptions of crimes; Local civil society capture forms to document cases. You can check the executive presentation here.